Tim Scott worked at the Ben Hogan Company from 1969 to 1982 and during his last eight years at the company, he was the vice president of sales and marketing. He lives in Forth Worth, Texas. Golf aficionados regard Ben Hogan as the game’s greatest striker of the ball. His solid swing was unique. He seemed concreted to the ground, with every muscle unleashed upon the ball at the point of impact. If you believed everything you read or watched or heard about Hogan, you would picture a solitary, unapproachable, surly individual, one devoid of feelings. Even Hogan’s nickname, “The Hawk,” gives the impression of an individual looking for innocents to devour in his quest for survival. The stories, as they are repeated, become myth. Ben Hogan’s life was an ongoing story, with a beginning and an end. One must remember the context of the story to appreciate the man, Ben Hogan. 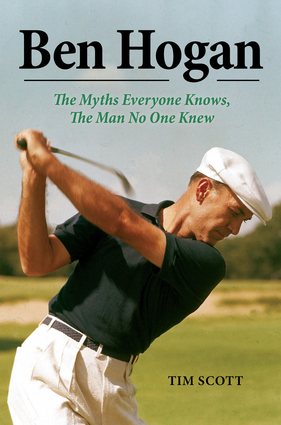 Authentic and honest, Ben Hogan: The Myths Everyone Knows, The Man No One Knew is an essential read for golf fans and a source of inspiration for anyone struggling to overcome personal tragedy. Tim Scott was VP of Sales & Marketing for the AMF Ben Hogan Company in the 1970s. He worked closely with Ben Hogan, and met many people who knew him, both in golf and in his personal life.